Monday fever is affecting school districts around the country and a few have decided to find a cure. Many people know that problems don’t just go away by “getting rid of them”, but districts are testing the waters and doing just that. Some opinions on moving to a four-day school week have been positive, while others have a bone to pick with the people in charge. The Brighton-based school district 27J of Colorado has decided to cut Monday’s out of the school week in order to save money. 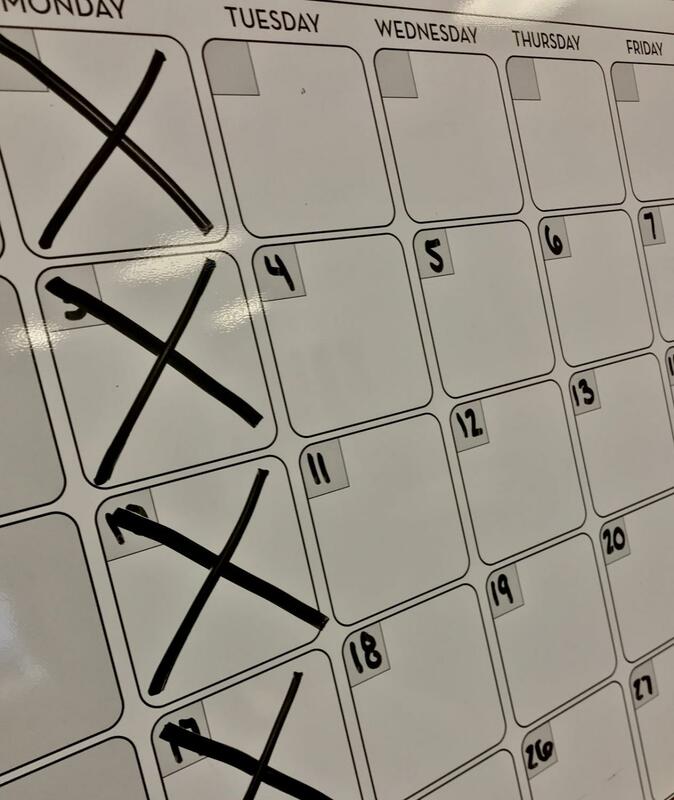 The shorter week is expected to save the district $1 million from cutting back on bus transportation, substitute teachers, school food costs and it would allow the school to shut off utilities for an extra day. Schools always struggle to raise enough money for their needs. Moving to a four-day week would be beneficial to sports teams, renovation costs, teachers accessibility to improved education, and safety features. Certain teams at schools have uniforms they’ve reused for years. Teachers have textbooks that have incorrect information in them or don’t include important recent historical events. With scary security issues taking place in schools, each school should feel secure and have the appropriate technology and equipment to protect those inside it. A downside to saving money is the cost of childcare that will go up for working parents. Most places of work have a five-day schedule for employees and many parents have younger kids that can’t stay home alone. The district in Colorado has childcare available for $30 on Monday’s, yet that is still an extra cost in place of a public school they’ve had available in years past. Bus drivers, lunch employees, and janitors are other positions at the school that would struggle with this loss of a paid workday. Taking away ⅕ of their job would cause a major problem for employees who rely on that extra day to survive economically. There have been no findings that moving to a four-day week would affect academic performance and many students are stoked to have another free day. That being said, some students worry that with an extra day off, teachers will take this opportunity to assign more homework and expect it to be done over the weekend. Teachers rebuttal was that a longer school year would allow for more time to do assignments in class and less work outside of class. Another free day in the week would also be beneficial for teachers to strengthen their lesson plans, grade papers, etc. District 27J in Colorado has made the rule that teachers must come in on Monday for half a day once a month for meetings/other needed reasons. Even though teachers would not get paid on those days off, the district would be able to use the saved money in ways that would benefit them. There would need to be a change in the length of the school day or a longer school year in order to keep academics on track. A longer school day would cause all after-school activities to be affected. For people like me that have lots of evening commitments. As a student athlete, I get home late in the evening. I also have clubs and activities throughout the week that keep me out and about until late in the evening. If a school were to switch to a 10 hour day, it would be hard for anyone to have time for other activities. The alternative, having a shorter summer, would affect certain camps, jobs, and events that only take place during those months students have off. It would be a major toll on the society surrounding the district and would cause many changes to be applied in the system. People have had a five-day school week and have become accustomed to it for decades. Switching around the schedules of sporting events, club meetings, and job working students is a major risk for a school district to take. One positive impact that a longer school year would have is that students wouldn’t go more than a couple weeks without learning. It would increase how much information students remember and would require less time in class to relearn concepts. Overall, I think a four-day school week should be considered for FMHS. I asked 20 students at FMHS if they would want a four-day week, even if that meant a longer school day/year. 12 answered yes while the other 8 said no. The switch would be a risk in our system, but if there was a way to make pay fair for all employees, appeal to parents childcare needs, and keep the same school day length, I think the change would benefit students with less homework and more time to complete tasks in class. Eventually, students would be more prepared for college by the time they graduate and be able to have more time to focus on their preferred career and less on general education. Watching the district in Colorado and other districts in the United States will provide either a positive or negative example that will help our district decide if we should take the leap or stay in our comfort zone.